Anyone familiar with camping (especially in California) is probably well-aware of the difficulty acquiring reservations at the popular campgrounds. It can be extremely frustrating to say the least. The first time I tried to reserve a spot in Yosemite, I could not even believe what I was up against. The week before the reservations were going to open for summer camping, the hubs & I had looked through the campgrounds, chosen our favorite one, even picked a site out. We were so excited to get our spot. At 8 a.m. sharp, I had my computer ready, and my mouse-finger clicking. I also had the phone on, dialing the reservation number. I tried online, I tried calling...I felt like pummeling someone when I got off the phone (and computer). The reservations had been completely filled within 6 minutes. INSANE!! Needless to say, I didn't get a site. The customer service representative I spoke with on the phone was completely un-helpful, unhappy, sluggish, and apathetic. He would have been a good candidate for my pummeling, I thought. I felt totally defeated, and didn't know how anyone could possibly get a reservation in this %$@# state. I spoke to many of my friends who had lived in California much longer than we had, and asked for their advice. They brushed me off, saying things like, "Oh yeah, it's a pain. We don't even try." What the heck?! 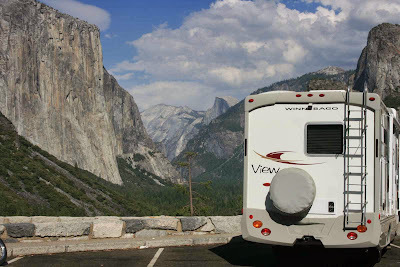 At the same time, I heard lots of people talking about camping trips to Yosemite, so I knew there must be a way. I was determined to find out how to get a site! Anyway, back then, I was completely lost and overwhelmed, so I'm going to try to help anyone out who might need it here. Feel free to email with any questions, and I'll do my best to answer them...or point you to web sites that might help. I'm in no way an expert, but I have done my fair share of navigation through their complicated system. I'm happy to try to help prevent others from trying to "reinvent the wheel" (or pummeling some unsuspecting, yet possibly well-deserving, customer service representative). 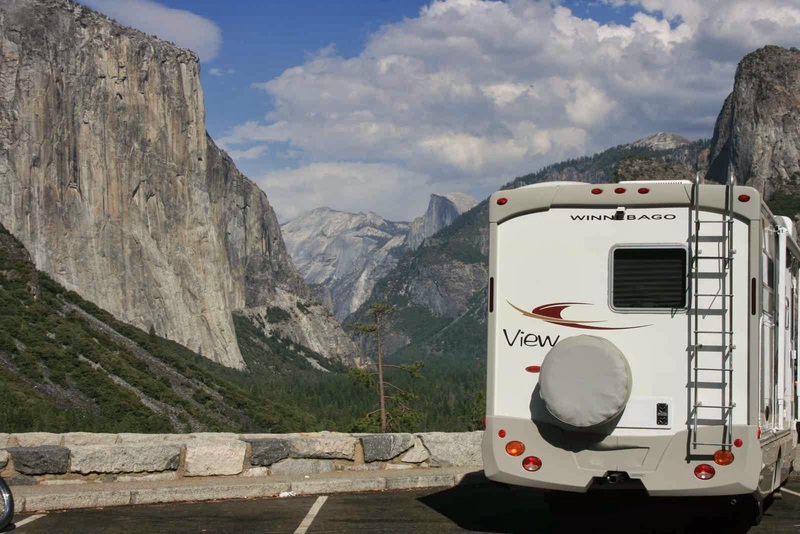 Okay, first of all, reservations in most of the campgrounds (especially Yosemite, Mammoth Lakes, and any beach camping) requires advance planning. You will not usually be able to plan a spontaneous weekend or summer camping trip at the beach. Now I say not usually, because there are always exceptions. Some campgrounds have some first come, first serve spots, and I'll get into that at a later date. However, for my neurotic self, and my car-hating, high maintenance older kid, advance planning was definitely necessary here. 1. Choose the campground you'd like to visit (again, this book will help you if you don't know where to go). 3. PRIOR to the reservation date, create an account on this site. I would recommend just creating accounts on both sites, so you will be prepared in advance. 4. Look on the website and try to find a campsite you like best. You can also do Google searches like, "best campsite in El Capitan" to try to find other campers' favorite spots. Another great resource I use now is www.campsitephotos.com . This site has photos from most sites at lots of campgrounds. You can actually get a very good idea of what each site looks like, if it's near showers or bathrooms, if your monster rv will really fit in the spot. 5. Check your state park, national park or Yosemite Park reservation deadlines to determine when you will need to make your reservation. Put that date with a reminder on your phone (or calendar) or ask your significant other to please remind you. Whatever works! 6. The night before your reservation date, get the site up on your computer. Enter your date of visit, and number of nights desired. Determine which site you want to try for, and get it up and ready. Have a few alternate sites prepared. If you don't care which site you get (you just want to camp at a certain campground), leave that info out. Likewise, if you don't need exact dates, you can leave that out as well. 7. The morning of "R" day, get online about 1/2 hour early. Make sure you have the right campground up on your computer. Get your site up, and wait. The reservation system will not allow you to reserve until exactly 8 am (for state parks) or 7 am (for national parks). At exactly the right time, push the "reserve this site" button. If you don't get that one, refresh and see what else is available. Try to stay calm, and just keep trying. Hopefully, you will get a site! I'm happy to announce that this year (2012) after only seven years of trying, I acquired a Yosemite reservation at last. Yayyyy!! No pummeling necessary. I only hope you will be just as successful. Best of luck to you, and may the fastest mouse-clicker get the campsite. You are not kidding on this! Crazy hard to get any type of reservations.. because California is just so RAD! lol But you did it!! Yosemite?!?! FUN!! Alrighty - ordered the book! Thanks SS - you are the best! I'm looking to do two camping trips (tent camping) next year... Got the calendar out to figure out the best time to go. I've got to take advantage of M not starting Kindergarten until next September! Definitely get those trips in before school starts! The campgrounds are so much nicer in the "off" times when everyone else is in school. Have fun!